The ability to reach challenging areas. 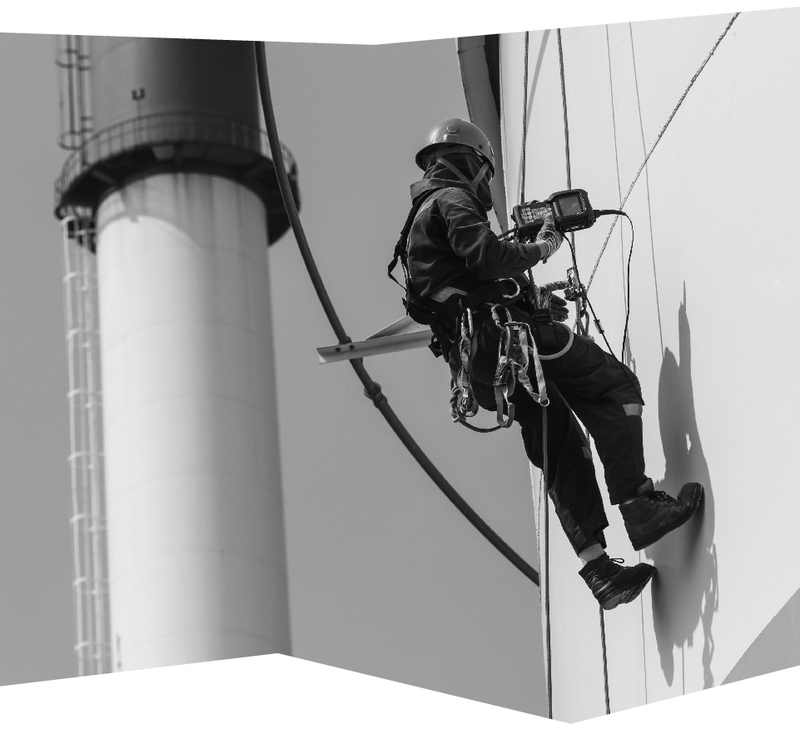 Our rope access solutions allow technicians to reach challenging or hazardous areas and inspect them thoroughly without the use of scaffolding, cradles or elevated work platforms, which can be time consuming to erect. This safe, double-rope system uses a second rope as a safety measure – in case the first should fail. Challenging and hazardous areas are more difficult to inspect, so our discipline and safety training is best suited for this type of service. Rope access is often implemented as a safety measure during other inspections too, such as tank or pipeline inspections. It is our aim to provide you with a clear and concise report on the condition of these challenging areas and advise you on any maintenance and repairs.